Doctor Rudolph is a 1971 graduate of the University of Pennsylvania School of Medicine and completed his dermatology training at the Hospital of the University of Pennsylvania in 1975, where he was also Chief Resident. 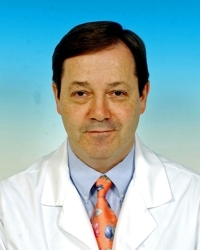 He has been a faculty member of the Penn since 1975 and has been Clinical Professor of Dermatology since 1997. Doctor Rudolph has maintained a solo private practice in Wyomissing Pennsylvania since 1975. In addition to membership in the American Academy of Dermatology, he is a Fellow of the American College of Physicians, the Royal Society of Medicine, the American Medical Association, and other societies. His interests include clinical and surgical dermatology, and he is the author of over 100 publications and book chapters. His avocation is collecting antique Japanese scroll paintings and woodblock prints.